When I first saw these Pretzel Crisps at my local supermarket I kind of ohhhhed and ahhhhed over them for a while as I contemplated whether or not I should get them, this was mainly due to the relatively high price tag for a snack. In the end I eventually caved in and decided to purchase them in the Garlic Parmesan flavour, persuaded by the fact they looked like a healthy option to the good ol&apos; potato chip. As soon as I got back to the car I ripped the bag open and tasted them as is, they were really nice, full of flavour, so good in fact that I snacked on them the whole drive home. Unlike normal pretzels they weren&apos;t at all salty in taste and were well seasoned with the perfect amount of salt, garlic and cheese which seemed to be in a powder like form. These certainly are easy to eat on there own without any toppings but they are also really good with a topping or two. 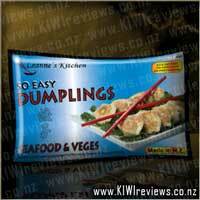 They were really good dipped in kiwi onion dip and also in sour cream and chives dip. They were fantastic topped with cheese and chutney and also with gherkin there really is a lot of yummy combinations that would be worth a go. 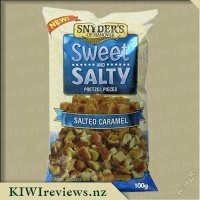 Though slightly more expensive than other snacks on the market these definitely had the taste factor going for them, and I would definitely purchase again, though maybe a different flavour next time, if your after a healthy, satisfying snack these are the way to go. I&apos;m always keen to taste new snacks and those of the healthier variety are always a bonus. Finding snacks which are a little fancy and can be pulled out when visitors arrive or taken when visiting is always a bonus as well. 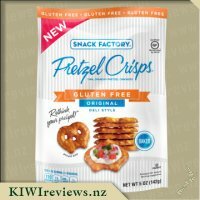 When I saw the pretzel crisps up for review straight away I knew that wanted to try out the garlic and parmesan flavour. As soon as they arrived I opened up and tasted them straight out of the bag, they were very tasty it was hard to stop at just one or two of them. 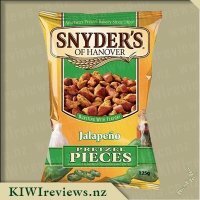 While a lot of crisp snacks are really salty these had the perfect amount of salt, garlic and cheese flavour. I did find there was a number of broken crisps in the packet but I just made these the ones I ate by themselves. When I had people round later that night I decided it was a perfect time to try them out with some dip and different toppings. I made some with a little cream cheese and salmon on them, others with a cream cheese and onion marmalade and some with salsa to dip them in to. The crisps worked with all the different topping and were a real hit by everyone. I really recommend them to anyone who wants something different to try and a tasty snack they can eat as it is or dress up if you want. Put your hands up if you like garlic and cheese. Those of you with your hands down, stop lying! 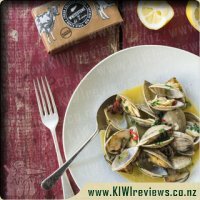 Garlic is one of those flavours that works in almost any form with almost any food. The same goes with cheese. It would be very difficult to make a bad product flavoured with garlic and cheese. 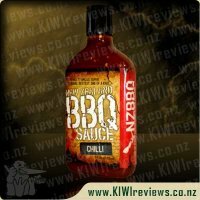 So it&apos;s no surprise that this product is great. I cooked myself some schnitzel, and had strips with cheese on my crisps. Once I ran out of sliced cheese, I just had meat on the crisps. Once I ran out of meat I just ate the crisps. 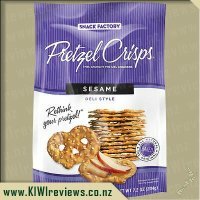 Unlike the sesame variety, the garlic parmesan pretzel crisps are incredibly tasty on their own. As is kind of expected with the fragility of crackers and crisps, a lot of the pretzel crisps in the bag were broken. Probably about 70% were complete in shape, so the other 30% were pretty useless for holding toppings, but it made them very easy to just scoff as is. 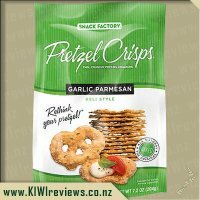 The garlic parmesan is a rather strong flavour, so if you weren&apos;t looking it would be hard to distinguish any &apos;pretzel&apos; flavour, but I still like them nonetheless. The packaging is a good size, great for parties, or for multiple servings if you&apos;re feeling lazy and want some convenient food with little to no preparation needed. Definitely will be on the shopping list next time I&apos;m planning on entertaining guests. When I first saw these crisps, I was unsure of which flavour I wanted to try first, but these ones seemed appealing enough, and they did taste really good. I don&apos;t have pretzels on a regular basis, so having these new pretzel crisps was a nice treat. 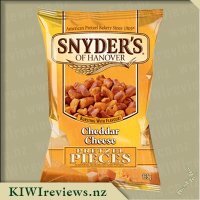 I am really impressed with the whole concept of these crisps, I love the pretzel flavour, but I also enjoy the light, puffy texture of crisps, so these form a pleasant compromise. The flavour itself was the best part, I think that the tangy flavour of the garlic works well with the pungent flavour of the Parmesan. The only downside is that this made the crisps too damn addicting! I went through the whole bag pretty fast, so this is something which would go great in the pantries of any ravenous snackers. I didn&apos;t end up putting anything on the crisps, they were just fine as they were, they would make great movie snacks as well. 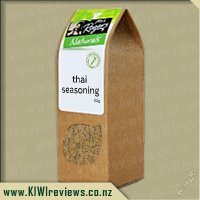 If I were to get my hands on another bag, which is likely considering I know of at least one place where they are sold, then I may start experimenting, like putting tomatoes, cheese, heck, maybe even some Marmite, on them and just see what else can be made of them. The only thing is though, while the picture on the bag shows a serving suggestion with these crisps smothered in what looks like mayonnaise, such sauces may not work as these crisps, of course, have holes in them, which does limit things a little. For a bag of these crisps, I think that the price is well chosen, there were quite a few of these things in the bag, so the portion size was great for someone like me, and also the price matches the value of the crisps in this quantity. Personally, I think they are a bit more expensive than a bag of Doritos, but with 0g Tans and Saturated Fat and 0mg of Cholesterol, they are somewhat healthier. With all these aspects brought into consideration: price, flavour, usefulness, healthiness, and portion; I think that these crisps are highly recommendable to anyone out there, so keep your eyes out for these. I do enjoy the taste of pretzels, as do the rest of my family. 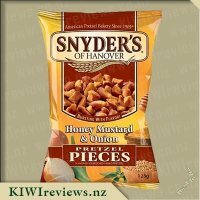 I find that they are a good alternative to potato chips or crackers as a snack. The Snack Factory Pretzel Crisps lift the bar somewhat on the standard pretzels that we would generally eat. 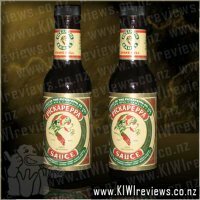 In fact, they are the first alternative I have found to the usual supermarket ones, so it was exciting to see what they offered my tastebuds. The packaging give the sense of quality. I like the simple colour scheme on the pack and the image of the pretzels on the front makes me want to try them. Although I love snacks, I am always on the lookout for options which are better for me and my family. I see that these are very low in fat and therefore a better options for us than other snack options such as potato chips. The salt levels are quite high and as a result, I would still consider them a treat rather than something we have too often. We found that they were more satisfying and more interesting that chips or crackers. They would be for more discerning taste buds than potato chips. I didn&apos;t feel the need to over eat as I would often do if I opened a bag of potato chips. 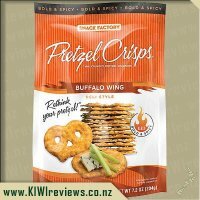 The pretzel crisps are nice and crispy and keep well with the zip lock seal closed up. I only kept them for a few days as the family ate them reasonably fast, but they did maintain the quality of those days. There is a nice layer of flavouring covering each pretzel, however it isn&apos;t over the top. We tried the pretzels with some brie and gherkin and some others with feta cheese and sundries tomatoes. Both options tasted really good. I can&apos;t say that I could really taste the flavour from the pretzels, but I did find that they provided a great mouth-sized snack and a really nice crunchy base layer to the snack. I found that the bag was easy to open, with the tear type of opening at the top. This left the zip lock seal available so that I could reseal the pack when I had had a serving. The photo on the front is a similar size to the real product inside (a little bigger but a good indication of sizing).